A stained, sludge-ridden birdbath sticks out like a sore thumb in a landscape design, and since birdbaths are constantly full of standing water, buildup is a very common problem. It is also an issue for the health of the wild birds the bath attracts. This kit makes it easy to keep it clean. 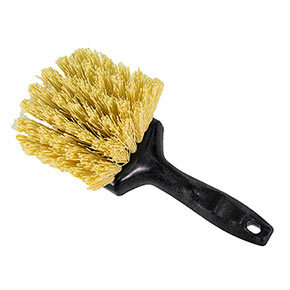 The brush is large, with a substantial, easy-grip handle. 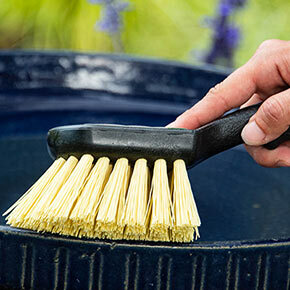 The bristles are very stiff, so even with rough cement baths, you'll be able to scrub it out easily. 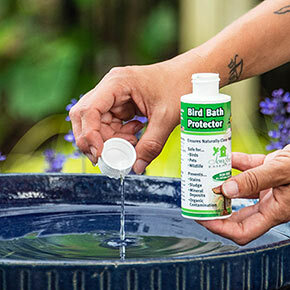 The birdbath protector solution can be used once a week to protect the basin from staining, sludge, mineral deposits and organic contamination. 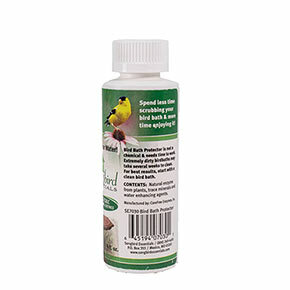 It's non-toxic—safe for birds, wildlife and curious pets. Tidy up an existing birdbath or use the kit with a new bath to get it off to the right start in your garden. Brush is made of recycled material. Brush: 4½"Wx9½"Lx4"H. Bottle: 4 oz.